Goalie Instructors at HOC teach either two or three group sessions a day. A group session consists of two hours of high-intensity hockey training daily. Instructors are on the ice either 4-6 hours a day. Instructors are required to follow a comprehensive teaching outline, to ensure that all required goalie skills are taught during the course of the week. Instructors must show initiative by providing goalies with individual on-ice instruction when in a group setting. Instructors will evaluate and provide a detailed, thoughtful skills evaluation for each camper at the end of each week. Instructors are responsible for teaching campers the safety requirements of each program ensuring that all participants use equipment properly and follow safety standards. This includes providing care to our campers that reflects the standards and guidelines of HOC's Child Care Practices. Each instructor is responsible for their program area and maintaining equipment in good order for the next program period. While under the direction of the Head Instructor, provide goalie instruction according to the program designed by the Hockey Director. When assigned to the Ranger / Senior group, instruct on Sunday evening and instruct two one -hour off-ice Dryland sessions each day. Provide on-going and continuous individual and group instruction to goalies throughout the week. 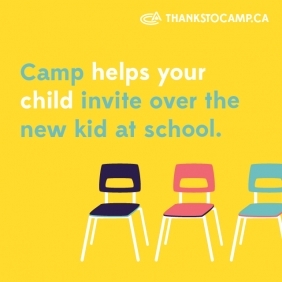 Progressively evaluate camper’s skill development, complete weekly camper evaluations and stuff in camper’s achievement envelopes. All player evaluations are completed on a computer and must be completed on time. All staff are required to deliver every day our Brand Promise “Best Summer Of Your Life” in each camper and staff interaction. Guided to success in delivery of this promise by our four core principles, Community, Leadership, Accountability, and Performance. Wages: Summer wages range from $2,800 – $3,600 per summer depending on qualifications and experience of applicants. Room and board are included.